This is the view from our hotel room at La Paloma in Tucson. No honeymoon right now, just a few days at a nice resort. Hopefully we'll be traveling overseas for a 1 year anniversary trip. Congrats! Great date. Today's my 2nd anniversary. Wow, congrats!! Nice rings! Wish you lots of happiness! What a wonderful surprise to see this! Congratulations to you both and a long life together shared in good health and lots of happy times. 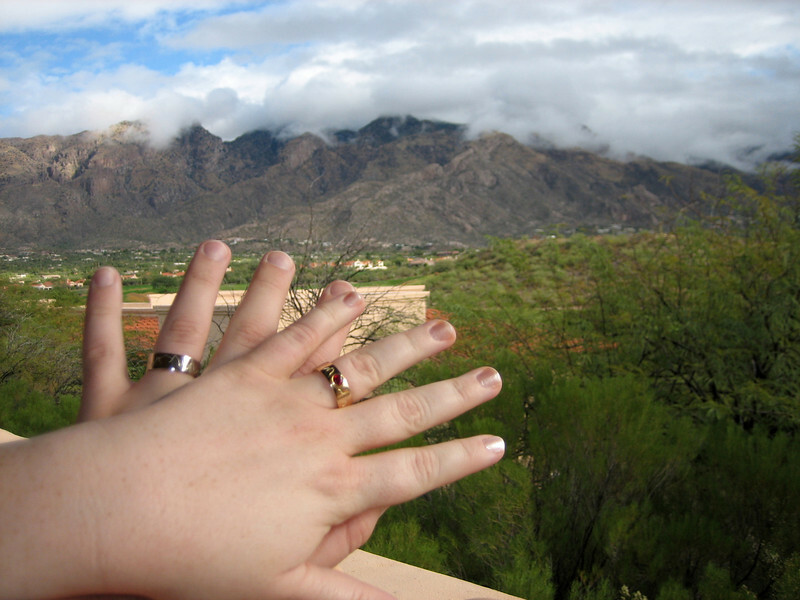 I heard there was quite a bit of rain in Tucson yesterday...the Catalinas look very nice in the background! Great shot! yeah! congrats to you both!!!! !